More time spent in bed waiting for your body to get tired. You'll just relapse as soon as you stop taking them. The best thing you can do is to just accept your schedule and have everything around you adjust to it. And if they don't, sue 'em. This IS America after all! No, no, on a more serious note, this is not because you stayed up late one night (like this silly article tells you and what logic may presume.) No, this is usually because of an extreme form of good ol' puberty! So "Why should I trust you?" you ask? Well, you really shouldn't. But you shouldn't trust these Standford undergrads either! (Refer yourself to figue 9.5: "Party Time") See a sleep specialist. He or she will be able to properly diagnose you and make you feel more confident when you start your new sleep program. Thank you for your submission, but I think you are both rather misinformed and misinterpreting much of our article. "...this is not because you stayed up late one night (like this silly article tells you...."
In no way shape or form have we implied that staying up late one night is how one acquires DSPS. This is simply a hyperbole and is not at all honest with the article. At the same time, you should remain open to the fact that consistent behavior and the time one falls asleep can contribute to a delayed sleep phase, because it most definitely can. The power of behavior in shaping one's circadian rhythms should not be underestimated. In severe and chronic cases of DSPS it is thought that genetic predispositions can also play a role in perpetuating the delayed phase, of course, but to rule out behavior is a grave mistake. adjust to it" underestimates the potential of proven treatments and fails to empathize with people to whom this is not much of an option for. Some people need to be able to be alert and functioning optimally during the day, whether it be because they need to care for their children or support their family with their job with the early morning start time. "But you shouldn't trust these Standford undergrads either! (Refer yourself to figue 9.5: "Party Time")"
This to misinterprets the material. I understand the humor, but the point of the pictures is to demonstrate the effect of clock-dependent alerting in a delayed sleep phase on the mind and body. In the late afternoon, circadian rhythm alerting tends to dip, often leaving the sufferer in a groggy state in a portion of the day where chances for social interaction tend to be high. On the other hand, late at night when the traditional sleeper is already asleep, clock-dependent alerting in a delayed phase will kick start the individuals mind and body, supplying the type of energy one would tend to want to engage in activities such as social interaction, but would certainly not want when trying to obtain sleep. I hope you better understand the point of the pictures now. "See a sleep specialist. 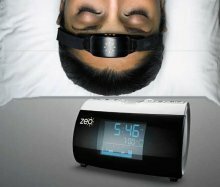 He or she will be able to properly diagnose you and make you feel more confident when you start your new sleep program." 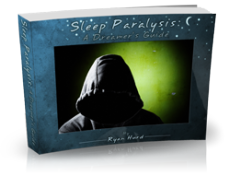 While seeing a sleep specialist is a sound piece of advice certainly, you fail to recognize that the advice given on our page comes from THE sleep specialist--the man regarded as the father of sleep medicine by any other specialist you talk to (Don't believe me? Ask around.)--Dr. William C. Dement. While your analysis of our article falls short in its simplicity, I must at least thank you for prodding me to reexamine the DSPS webpage, because upon doing so I did find a few parts that could have been explained more clearly. So if nothing else, the page is at least a bit improved now. To one line the OP wrote, I can just say: Of course! "Sleeping pills and supplements (such as melatonin): You'll just relapse as soon as you stop taking them." Well, of course! Why would anyone think that they could be a "cure"? Can a diabetic just stop using insulin, assuming that s/he’s now cured? I've had Delayed Sleep-Phase Disorder all my life, only learning its name ten years ago (what a relief!). If you really have the disorder, and it's not just situational and/or a case of poor sleep hygiene, you have it for life. (Some lucky souls do outgrow the adolescent version. If it's not gone by your early 20s, you have it for life.) Bright light on awakening and 1 mg (or less) melatonin APPROXIMATELY an hour before sleep can help, but you have to keep doing it or it surely won't help! The right timing of melatonin is individual and finding it requires experimentation: usually between 30 and 90 minutes will result in a short period of sleepiness that must be taken advantage of right away. Just a word about so-called chronotherapy: Don't do it. For some people it has led to the much more debilitating Non-24-hour Sleep-Wake (Rhythm) Disorder; you do not want to risk that!